Direct Operated Pr. 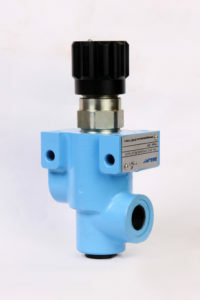 Relief Valve as a safety switch in the hydraulic circuit. It is designed with Guided poppet & Cushion arrangement for greater stability and noise control, available in Cartridge, Threaded and Sub-plate types.